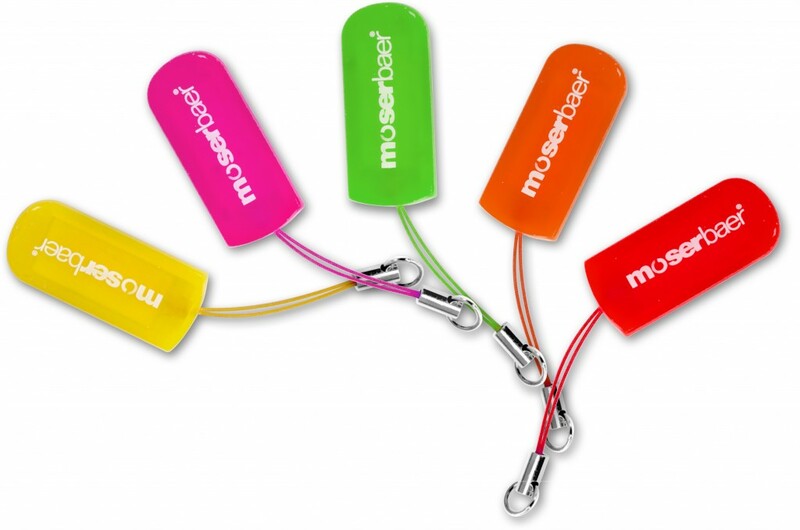 Moser Baer's World's Slimmest USB Flash Drive , comes with a embedded LED which measures just 29.4 x 12.4 x 2.3 mm in size. It weighs only 1.3 gram and is developed on the "Chip-On-Board-technology". It is now available in India in 4 GB and 8 Gb versions at a Price of Rs.750 and Rs.1150 respectively. Available in Vibrant Colors such as strawberry red, vibrant yellow, green, pink and orange. Bubble Model: It makes the flash drive absolutely dust and water resistant. Moser Baer’s World’s Slimmest USB Flash Drive are available in India in 4 GB and 8 GB Versions.